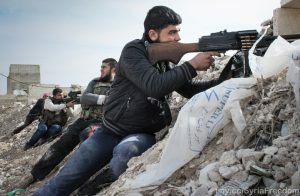 Whatever Happened to the Free Syrian Army? In 2015, Mohammed al-Goulani, leader of Syrian Al-Qaeda franchise Al-Nusra, claimed that negotiations taking place in Syria to end the five-year-long civil war had all been a farce. In a critique that … [Read more...] about Whatever Happened to the Free Syrian Army?